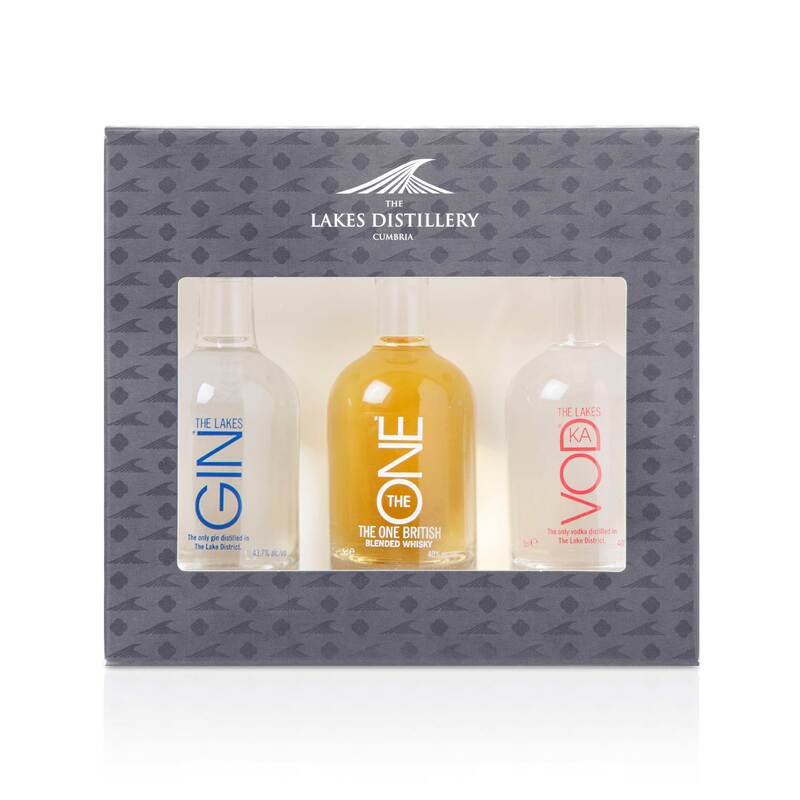 The Lakes Distillery triple set miniature gift pack consists of 1 x 5cl Vodka, 1 x 5cl Whisky and 1 x 5cl Gin. The Vodka - Using water taken from the famous River Derwent with its source high up in the Cumbria fells. The Lakes Vodka is loving crafted in a small handmade copper pot still, to maintain its delicate aromatics and flavours. With tasting notes of a rich aroma with a hint of wheat, ultra-smooth and silky and full of character. The Gin - Using Juniper which can be found across the fells in The Lake District at the very hear of the gin. Tasting notes of big clear fresh citrus, fruity and floral. Complex and vibrant.